The Watt family were Luton's most notorious anti-social neighbours. 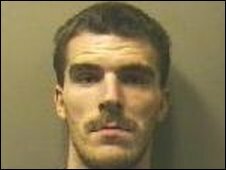 They were continually moved by the local authority after terrorising residents and kept 26-year-old Michael Gilbert as a virtual slave. Ruling by intimidation, the brothers terrorised their neighbourhoods with bullying and violence. The family was evicted at least four times over eight years, but always found an unsuspecting private landlord to rent from. Unemployed James Watt picked on people who were weaker than himself. He was described in court as a controlling bully and a coward. Michael Gilbert was an ideal target - vulnerable and easily-led, he did not fight back. One former neighbour, who did not want to be named, told the BBC his family had been intimidated by the Watt brothers. "It was a life of hell, not just for my family, but the surrounding neighbours. "It was a constant nightmare, constant phoning up police. Police doing nothing, the family living in fear. "They would pick on the vulnerable more than anything else. "Michael Gilbert did not deserve to die the way he did." Across Luton it was the same story. The family would arrive in quiet neighbourhoods, often moving their belongings in after dark. Within days that peace was shattered. The family also kept many animals with pit bull-type dogs, their favourites, and exotic giant lizards which were used to attack Mr Gilbert. One scam they used to net dogs was to answer ads for pets in the paper and while the owners were distracted, the puppies would be stolen. When they were evicted from their council house in Halyards Close, it took police in riot gear and several RSPCA vans to clear them out. The house was just a shell - just a disgusting mess of a place. The floors were dirty, the walls were dirty. Some of the brothers would carry knives and baseball bats telling anyone who asked "it was for their own protection". Council tenant Ian Head moved into the house after the Watts and Mr Gilbert had moved out. "The house was just a shell - just a disgusting mess of a place. The floors were dirty, the walls were dirty. The back garden was just wrecked." Antonio Watt, known as Tony, was head of the family. He was the only one bringing home a wage, working for a local building firm, and was cleared of all charges. But it was James, and his diminutive mother, Jenny, who ruled the roost. One former girlfriend told the BBC that Mr Gilbert was instructed to call Jenny "ma'am" and would be hit if he didn't. She said Mr Gilbert had once warned her: "Stay away from them". But he did not have the mental capacity, or family support network, to escape and stay out of their clutches. They would take Mr Gilbert with them fishing on Sunday mornings and, on at least one occasion, he was made to travel in the car boot with the fishing gear. Outsiders often mistook him for a brother. But it was obvious even to the casual observer that he was frightened of them and only spoke when spoken to. Twice the family was evicted from council properties, eventually moving into private rented property. At one property on the Marsh Farm estate, neighbours said police were frequent visitors. The family finally left in the middle of the night after a wheelie bin was thrown through their kitchen window. 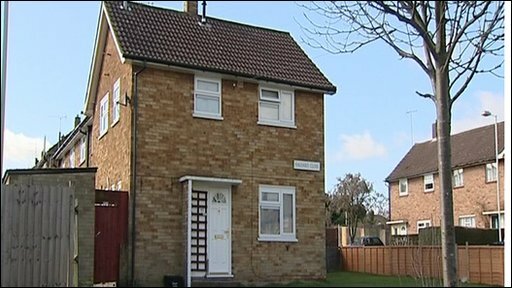 Landlord Chandrakant Shah owns the house in Marlborough Road, Luton, where Michael Gilbert died. He used a letting agent to find the tenants and did not know that the Watt family were notorious neighbours. After he evicted them he spent nearly £6,000 repairing the house. "There should be a law to find out what type of tenants are there so you can take action and not go to court," he said. The Watt brothers' behaviour meant most neighbours kept their heads down to avoid trouble, so few noticed what was going on behind closed doors. But normality has returned to the areas where the Watt family lived and there is relief that the threat of violence and anti-social behaviour has finally been taken off the streets.